We believe, now more than ever, that the visual image is a powerful tool both for the communication and comprehension of concepts and ideas. It has been found to be a great facilitator in literacy programmes as well as a catalyst in the analysis of social and cultural history and the development of personality skills. With this in mind, the foundation seeks to develop educational modules that will use the moving image as an educational resource and to work on programs that will create awareness about the language of cinema. To develop an educational module that will teach students about the history of the moving image and the evolution of cinema as an art form. To run film appreciation courses around the country to create awareness about regional and world cinema. To organize workshops and seminars on film conservation, preservation and restoration. 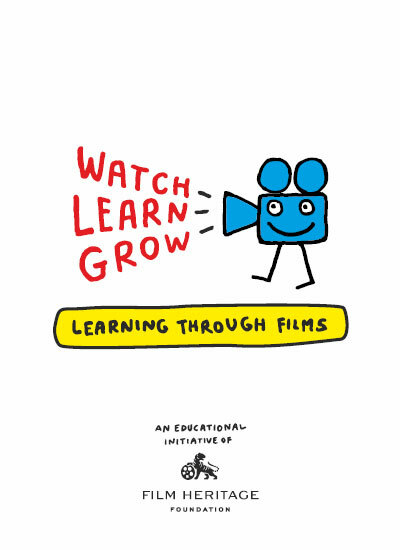 To use film as an educational tool to develop interdisciplinary programmes to enhance learning and teachers’ pedagogical skills that can be incorporated within an existing school curriculum. To work towards introducing film history and archiving as a course in the curricula of universities and media institutes. To create a systematic programme for educating new film preservation professionals and continuing education opportunities for those already in the field, as film preservation is a constantly evolving field and film preservation professionals will need to constantly upgrade their knowledge and skills.